The software help user to convert PFC to MBOX file and the new exported MBOX file is supported by Mozilla Thunderbird & 20 more email clients. The software also enables users to transfer AOL PFC to Mac Mail. The converter tool provides extra facility to the user of converting & exporting only selected emails & other items. User just needs to check the checkbox for desired emails that they want to convert and leave the rest unchecked to differentiate from the emails not to be converted. The software also allows users to set filtration before conversion with respect to date. For this, the user just needs to provide date range to convert PFC to MBOX. For Example: After setting date range 2/2/2015 to 2/2/2016, the software will only convert all mails between provided date range. 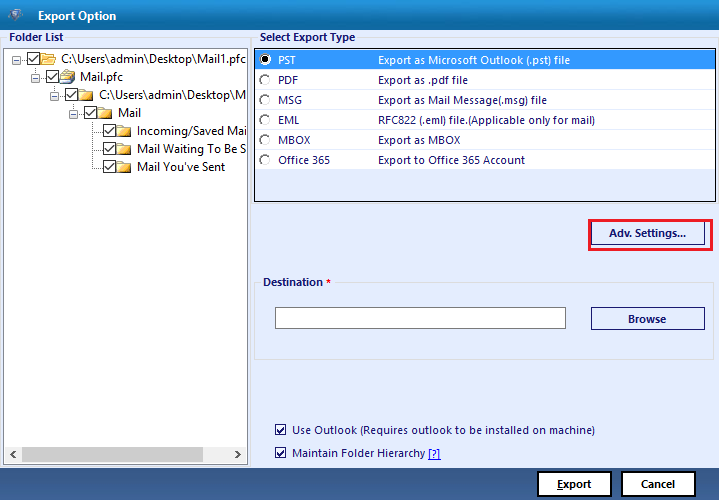 The tool is also capable of converting emails into multiple file formats other than MBOX only. User can use this tool to convert PFC to MBOX, file format. This feature offers user more flexibility in using different email client. The tool offers users with ease of access on the converted file. This feature enables users to convert PFC to MBOX with multiple naming conventions. Before export process user can set the file naming format like: Subject wise, date wise & subject + date wise, etc. The tool maintains same folder structure after conversion of emails & other items. It also maintains the data integrity during conversion. The software considers maintaining data integrity as the most important thing throughout the process of conversion. AOL PFC file is a storage file, which is used to store emails locally from AOL Server to a user PC. AOL PFC file let AOL users to access emails in offline mode. PFC is also called Personal Filing Cabinet file, which is created by AOL Desktop Software. Each AOL Desktop User has one PFC file in local computer, which helps them to access mails without internet connection. Hence, these attractive features make AOL PFC to MBOX Converter software an efficient tool that provides conversion without any loss of data. Is AOL Desktop software required to convert PFC to MBOX file format? No, AOL Desktop is not required for conversion of PFC to MBOX file format. Can I install this tool on my Mac machine to transfer AOL PFC to Mac mail? No, this tool can't be installed on Mac machine. It supports only Windows OS, therefore you are required to install it on Windows OS. Does this tool support bulk conversion of PFC files? For bulk conversion, you need to attach all PFC files one by one to the software and then use selective export feature for individual or bulk conversion. How can I export file, which are stored at different location in my computer? Load all files one by one into the software for conversion and then export selected PFC file only. I was looking for a tool which could help me to convert PFC to MBOX file format. But it was not easy to trust on any tool easily. But after trying the demo version of software which let me export 25 items per folder, I decided to get this tool. The tool made my work very easy with any data lost. 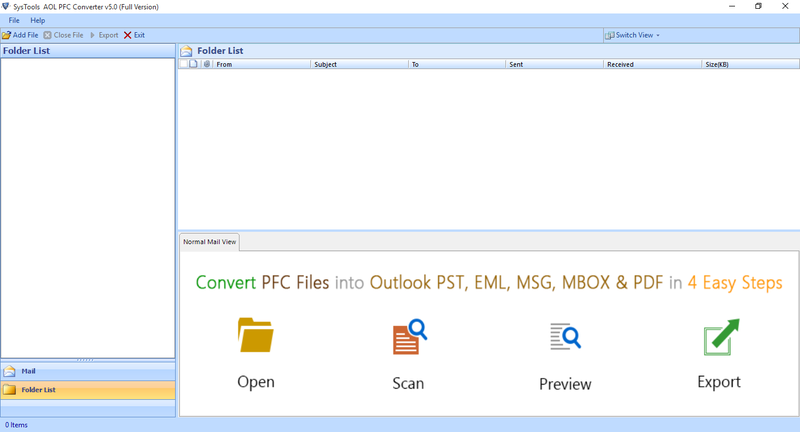 I downloaded this tool by just thinking that it will only let me convert my emails from PFC file to other formats. But I downloading I saw that it has multiple output file format other than PFC to MBOX. Therefore I use this tool according to my requirement.